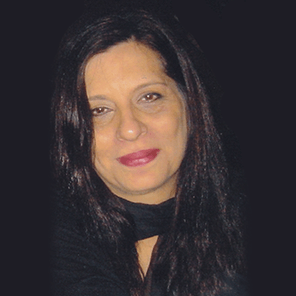 Pheroza Bilimoria is the founder trustee of THE JIMMY S BILIMORIA FOUNDATION and a well-known personality in media and marketing communications in India. She has 33 years’ experience in the magazine publishing business, in cable TV distribution and in the B2C trade show space. In 2013 after losing her husband to cancer, she pledged to help alleviate the suffering of patients at end stages of life limiting conditions such as cancer. She is the first woman President of the Advertising Club Mumbai, the Advertising Standards Council of India and the India Chapter of the International Advertising Association. For over 15 years, and until 2013, she was on the World Board and the Executive Committee of the International Advertising Association (IAA) based in New York, where she was the Honorary Secretary of the organisation for 6 years. A founder member of the team that started Business India Publications, in 1978, she was originally head of marketing, and thereafter became its Managing Director in 2000. She is acknowledged for the valuable role she played in creating successful media brands such as Business India, Inside Outside, Auto India and for building successful off-shoot companies for the Group – in exhibitions (Business India Exhibitions) and cable TV distribution (BITV Cables – now Hathaway Network). In 2013 she received the prestigious Champions Award from the IAA in recognition of her “leadership and vision – commitment to excellence in communications and contribution to the advancement of the International Advertising Association”. In 2014 she was made ‘Honorary Life Member of the IAA’ which is bestowed on a very select few worldwide.